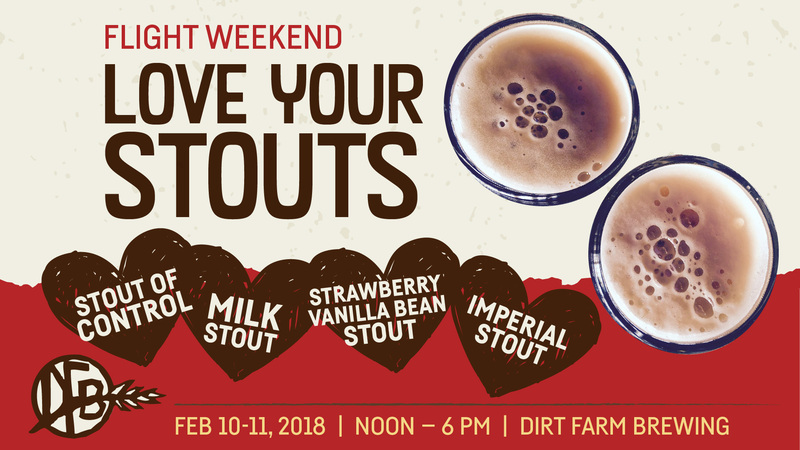 Dirt Farm Brewing is a family owned and operated Farm Brewery located in Loudoun County, Virginia, and part of the Washington DC area wine, beer, and spirits country. 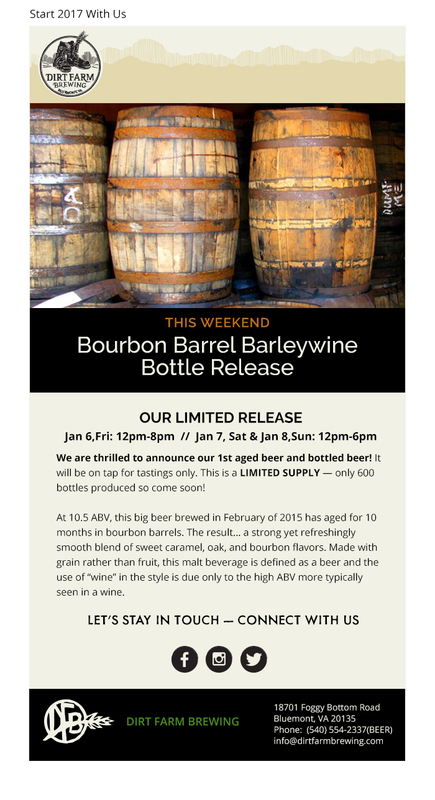 Their focus is small batch handcrafted beer from fresh ingredients grown on their family farm, Great Country Farms. The brewery is a go-to destination for the beer but also the incredible views from the Blue Ridge mountains overlooking the valley. You can see for miles! 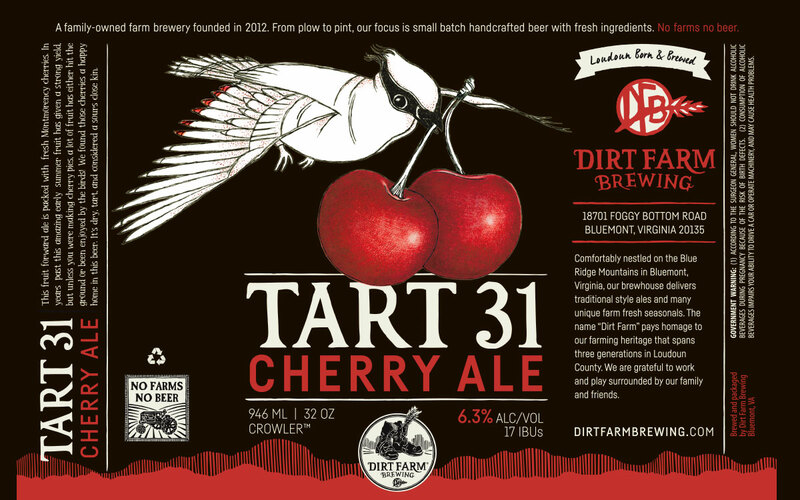 My first project started by working with Maria Nicklin, of Furyworks Productions, and Janell and Bruce Zurshmeide, the owners, to develop the look and feel of the beer labels for their favorite customer's favorite Tart 31 Cherry Ale and the Work Session IPA. 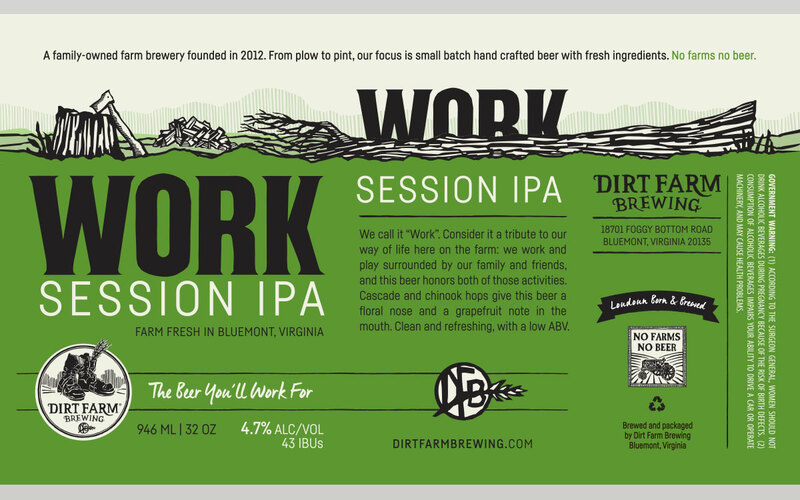 Maria Nicklin (designed the Dirt Farm logo) did the illustrations for the labels. The next project was a new website to follow the branding and strategy that started with the logo and labels. We wanted the website to show off the historic tap room, vast views, farming, and the handcrafted beer. With the fast-growing industry, it was imperative to have Dirt Farm stand apart from the others with these special qualities. 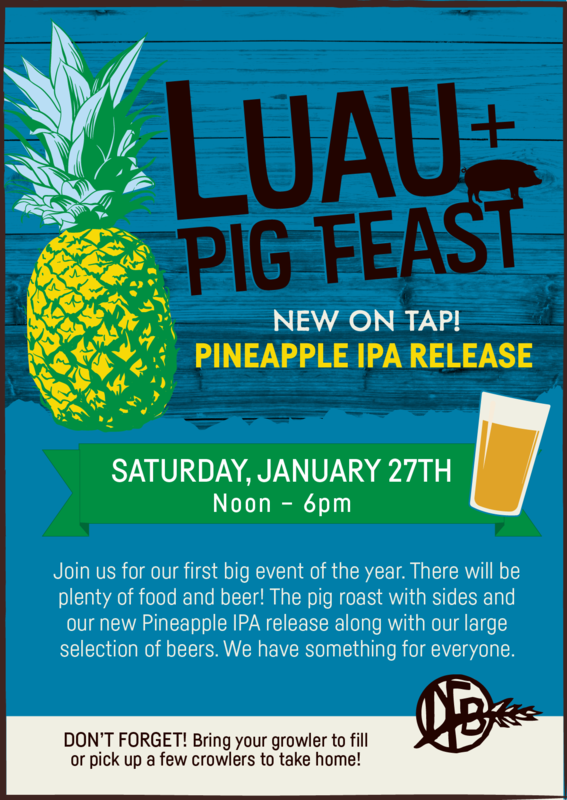 I continue to work with the brewery on a monthly basis to help with maintaining the website and the marketing for both the web, event marketing, and social media.